A Jamaican-born British woman who was building a house in Jamaica was found buried on that same property in St Mary, Jamaica. Karen Cleary, 44, had been building her dream home in the country of her birth when she went missing on Sunday, November 25. Her body was found buried in a shallow grave on her property in Boscobel, St Mary on Monday afternoon. A post mortem will be done to determine the cause of death. Cleary in happy times with boyfriend, Andy Kane. 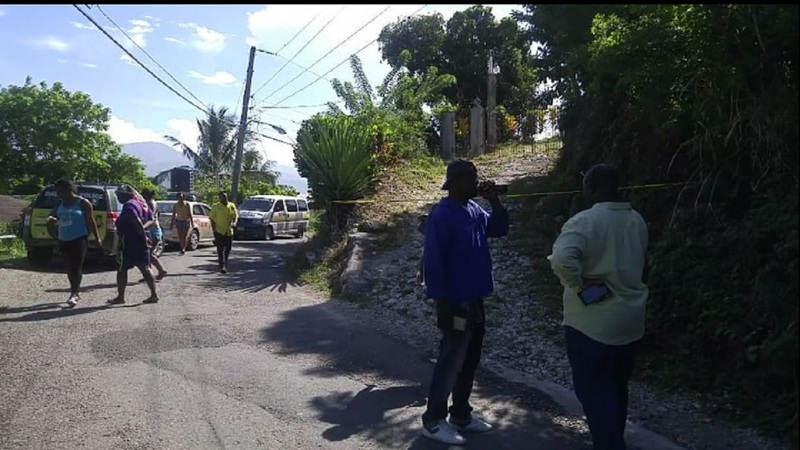 Sources tell Loop News that it is believed Cleary was stabbed to death by a man and her body later buried on her property at the Boscobel Housing Scheme. The suspect has been described as a labourer from St Catherine who was working on her house. He was apprehended by the St Mary police and is to be questioned once he attains legal representation. Unconfirmed reports are that he confessed to the killing. Cleary, a hairdresser and beautician, from Islington, North London in England, was last seen alive about 9 pm Sunday, November 25. 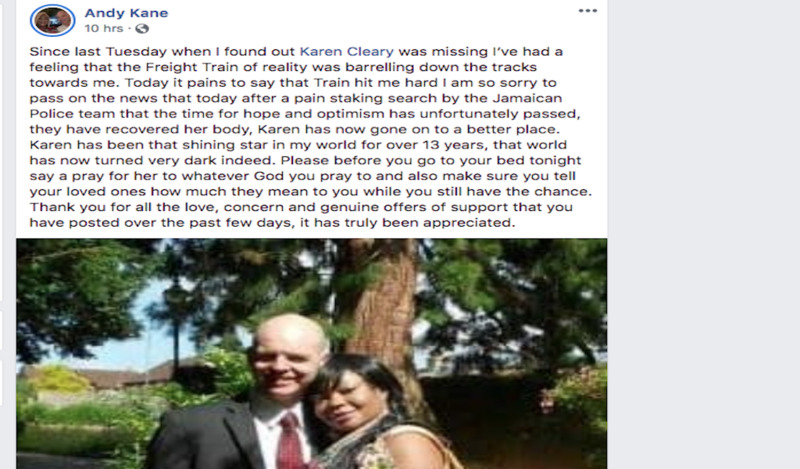 In his heartfelt Facebook post on Monday night, Kane, who had been intimately involved with Cleary for 13 years, said he felt like a train had hit him with the sad news of her death. 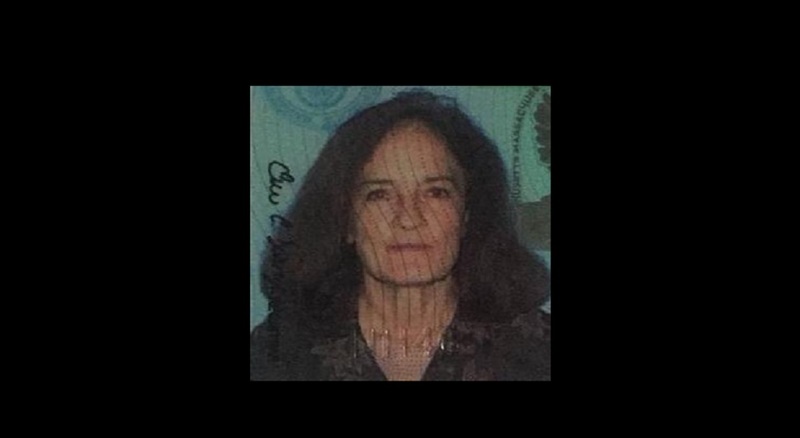 He posted: "Since last Tuesday (November, 27) when I found out Karen Cleary was missing I’ve had a feeling that the Freight Train of reality was barrelling down the tracks towards me. Today (Monday night, December 3), it pains to say that Train hit me hard (and) I am so sorry to pass on the news that today after a pain staking search by the Jamaican Police team that the time for hope and optimism has unfortunately passed, they have recovered her body. Karen has now gone on to a better place." Kane appealed for persons to pray for the Jamaican-born woman who he described as his "shining star." "Karen has been that shining star in my world for over 13 years, that world has now turned very dark indeed. Please before you go to your bed tonight say a pray for her to whatever God you pray to and also make sure you tell your loved ones how much they mean to you while you still have the chance," Kane's post further added. He concluded by expressing his sincere gratitude to those who had given him support since his lover had been missing. 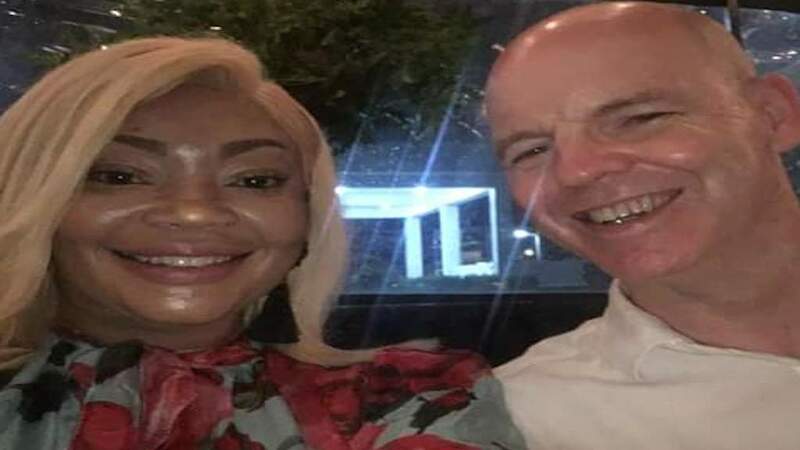 "Thank you for all the love, concern and genuine offers of support that you have posted over the past few days, it has truly been appreciated," the distraught British man wrote. 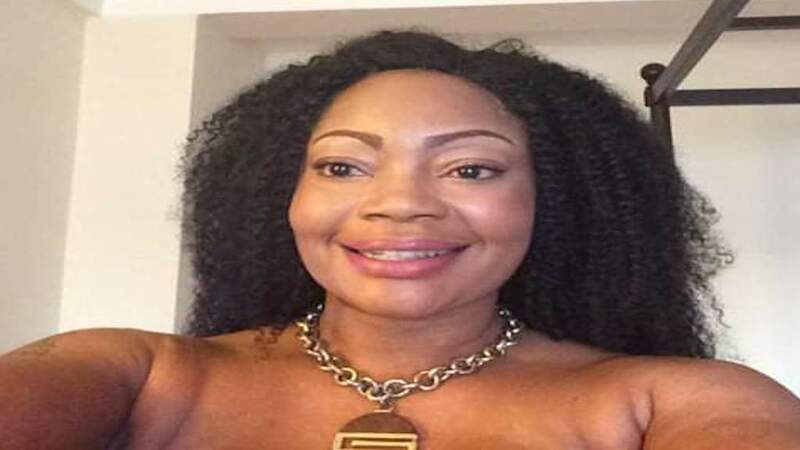 The discovery of Cleary's body comes on the heels of last week's discovery of American national, Nancy Hardy, whose body was found in a shallow grave in the Fish River Road section of the Green Island police area in Hanover. 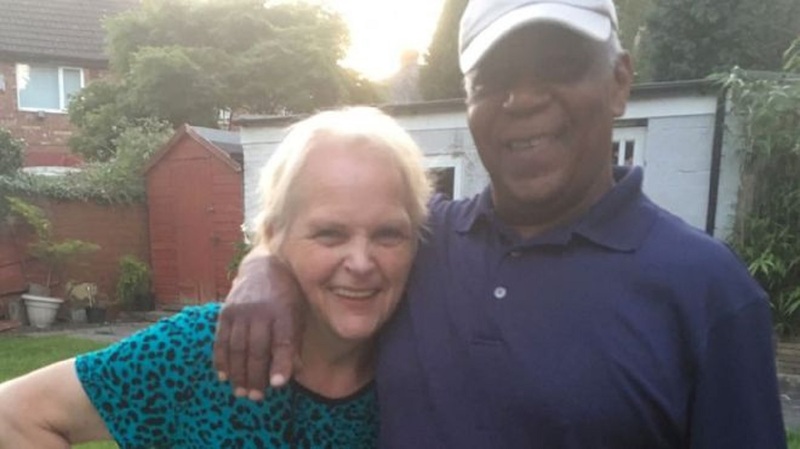 Hardy, a 72-year-old resident of Amherst, Massachusetts in the US and Phase 3, Whitehall in Negril, Westmoreland, went missing on Saturday, November 24. Her body was found wrapped in a towel in a grave in bushes in Fish River Road days later. Police have listed a man as a person of interest in connection to her death.